Are you looking for a new challenge? Or maybe you’re just starting out in your career? We’re searching for dedicated, passionate engineers to join our growing team. 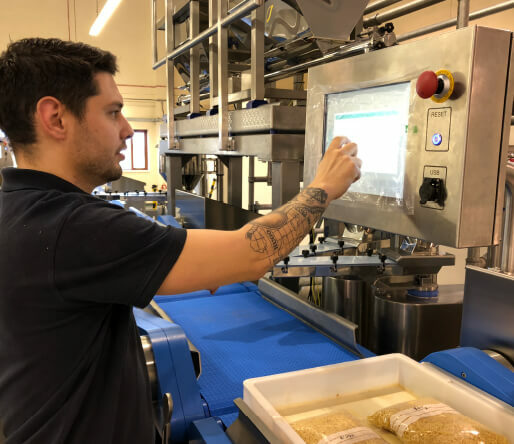 By joining us you’ll help to push the boundaries of technological innovation and develop advanced systems for the bakery, protein, produce and non-food sectors. Just a great place to work. I love the work and Sparc’s culture is fun and rewarding even when we are under pressure. 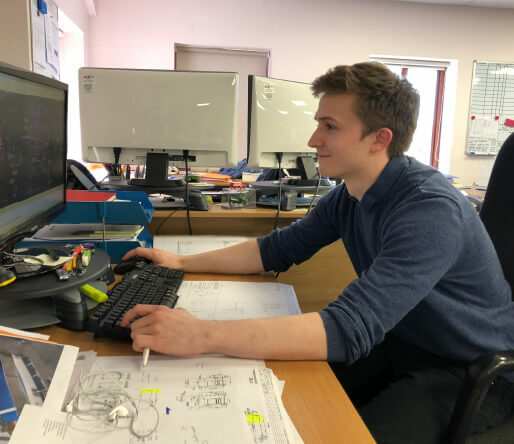 I joined as an Apprentice, having previously been a plumber, and I undertook three years training to NVQ Level 3. My ambition is to get promoted to run the shop floor in our Unit 2. The opportunity for progressing your career and taking on more challenging jobs is excellent. This is supported with a really open culture and quick decision-making. I previously worked in a larger corporate so I appreciate the difference. It’s pretty unique working for a truly British manufacturer rather than a UK subsidiary of an overseas firm. My ambition is to gain more management skills and also get more opportunity to work directly with end customers. The original machine designs and the chance to undertake customs builds are very rewarding. In addition, the organised approach, even when the factory is sometimes flat out, makes Sparc different from so many manufacturers. 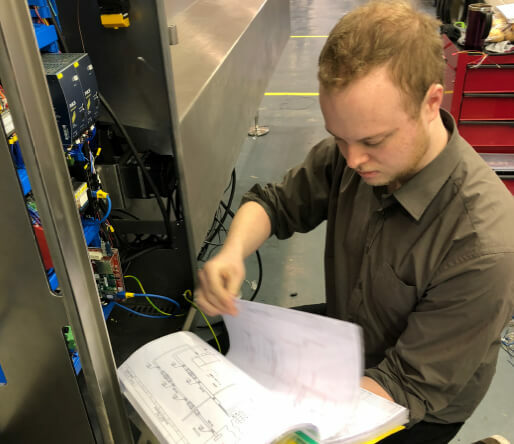 Sparc are supporting me in a college course to undertake a specialist electrical engineering course. Literally every day is different. 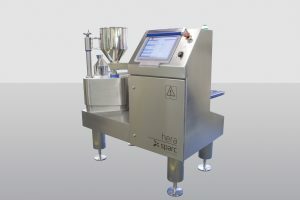 Sparc seem to love innovation and the New Product Development and bespoke builds is challenging and rewarding. I was a previously a supervisor at Waitrose. One of the Sparc Directors met me when he was out shopping and liked my attitude to work. It has been a steep learning curve since then, but I am being supported with training and I have just finished Level 2 NVQ at college. For my next step I plan to go back to college to undertake training in electronic control. I want to be Sparc’s control system specialist. 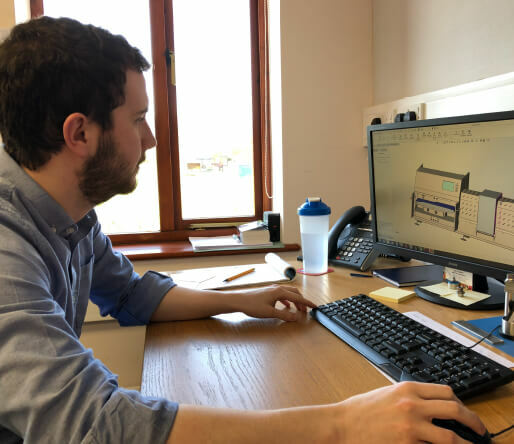 Now working in the design office supporting new product development. An example of the work I have been doing is developing the spec and positioning of the cameras in the side barcode reader machine (called Tyche). 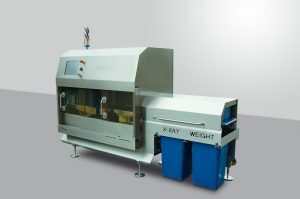 The machine was the first of its kind for Sparc and undertakes X-ray inspection of glass and canned products. They took a chance on me. I undertook a degree at Coventry University in Mechanical Engineering but was struggling to find the right job. 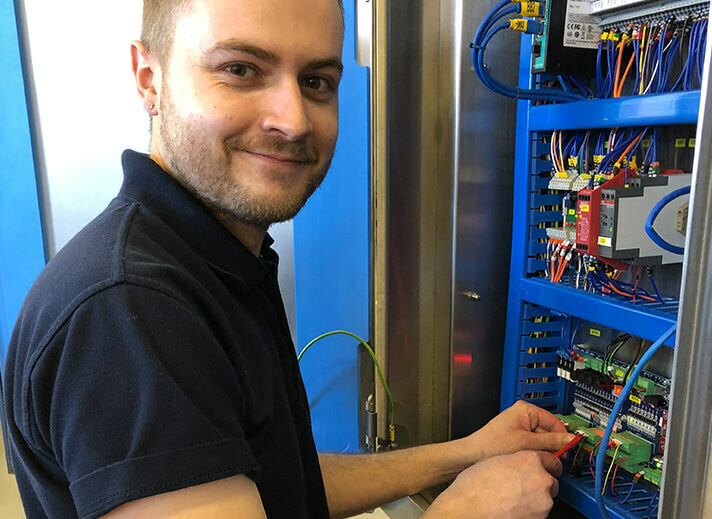 At Sparc I have been able to develop my all round engineering skills from electrical, mechanical, fabrication, software design and assembly. I would like to develop my career in design work specifically 3D design, applications and new product development.